Skylum Luminar includes a handful of artificially intelligent tools that are hard to find elsewhere but now the software company has a solution for photographers who want access those tools without ditching their current workflow entirely. 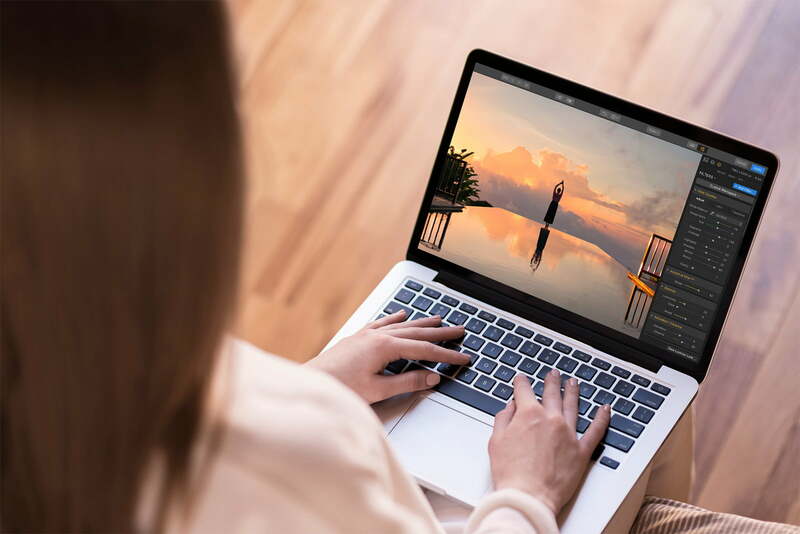 On Thursday, April 4, Skylum launched Luminar Flex, a Luminar plug-in that works with Adobe Photoshop, Lightroom Classic, Photoshop Elements, macOS Photos, and Apple Aperture. While Luminar overlaps several tools found in editors like Lightroom Classic, the company’s focus on A.I. has brought a handful of tools that are unique to the software. Luminar’s A.I. Sky Enhancer automatically detects the sky in the image, for example. With the plug-in, those tools become available to photographers favoring an Adobe workflow. 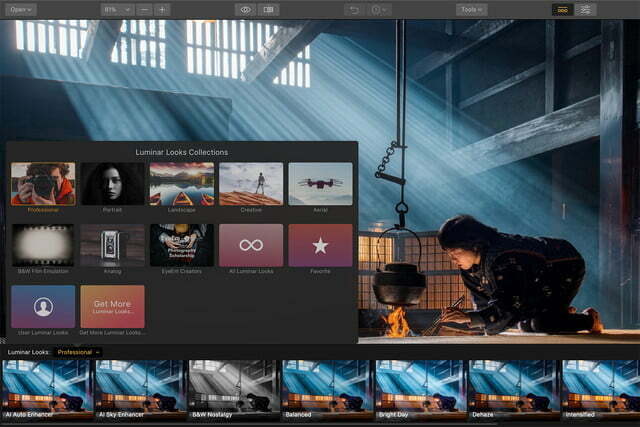 Current Luminar users will gain Flex for free, while the company says they will remove the tools that are within the plug-in from Luminar with Libraries, allowing the plug-in and original software work together without overlap. Skylum says that change will come with the next major update to Luminar. 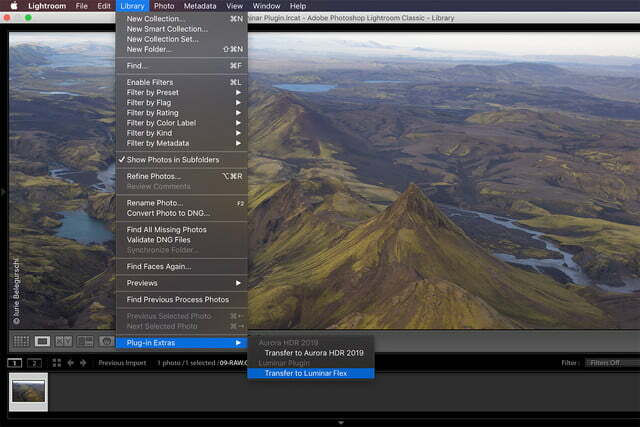 Luminar Flex contains several tools already available inside the stand-alone Luminar software. Accent A.I. 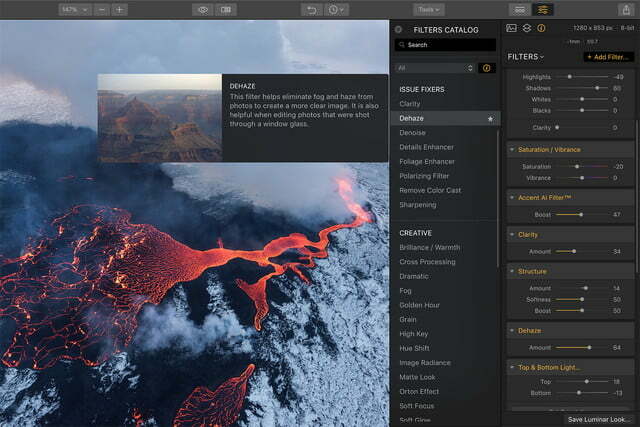 is a one-click edit that analyzes the images for problems before determining what to adjust. The Details Enhancer improves sharpness while the Foliage Enhancer focuses on greenery. Along with tools for corrections, Flex also builds in several stylistic tools, including a golden-hour filter, the Orton effect for a soft glow, and image radiance to create a “dreamy” look. The plug-in also includes Lookup Tables or LUT Mapping for applying pre-set styles like color grading and film styles. The one-click Looks inside Luminar are also part of the plug-in. Flex is organized into different workspaces that remove unnecessary tools for a less cluttered workspace, from an expert mode with all the tools to genre-specific workspaces like black and white, aerial photos, and portrait. Layers and blending modes are also built into Flex for combining multiple effects. Inside Photoshop, Flex has a few more features, including the option to work with Smart Objects and to include those plug-in tools when recording new actions. Luminar Flex is available for $59. Current Skylum Luminar 2018 and Luminar 3 users have access to the tool at no additional cost. Skylum says Flex will be on a separate update schedule from the original Luminar.